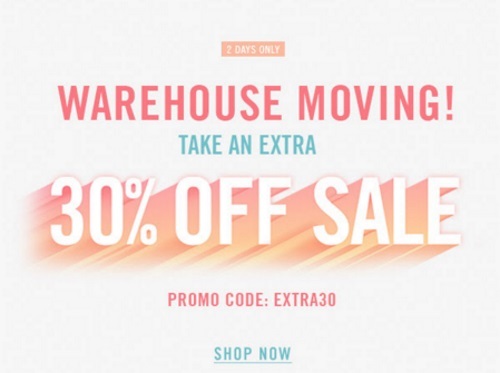 Forever 21 is offering an extra 30% off sale items during their Warehouse Moving Sale! Enter the promo code EXTRA30 at checkout. Offer is valid online only for a limited time. Discount applies on already reduced merchandise. Offer is valid for two days only, February 25-26, 2016.